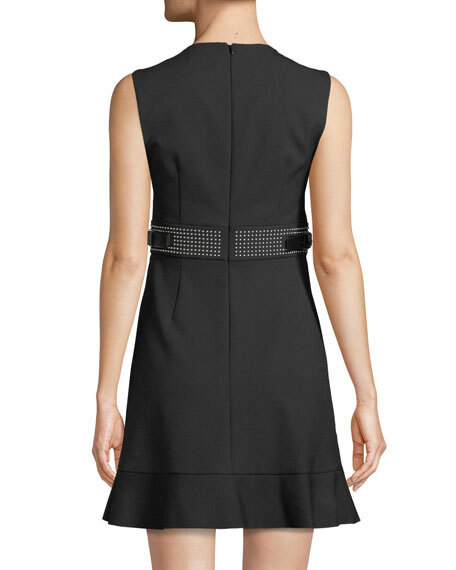 REDValentino dress in solid cady tech. Studded band detail at waist. For in-store inquiries, use sku #2576852.